THE New Year is a time that offers fresh hope and a fresh start. That is certainly the objective for Antrim football manager Liam Bradley who is hoping to begin the 2012 inter-county campaign with a bang when his Saffron squad travel to Enniskillen to face Fermanagh in the first of three Section A games in the Dr McKenna Cup. Last season ‘Baker’s’ boys enjoyed a successful run in the pre-season tournament when they topped a group that included Armagh, Down and St Mary’s before losing out to eventual winners Derry at the semi-final stage (2-14 to 0-14). Bradley will be hoping his panel, that has several new faces including St Brigid’s Ryan Daly, can repeat the trick and emerge from a group that contains QUB, a Tyrone squad in transition and the Peter Canavan-led Fermanagh. Sunday’s showdown with the Erne men will of course draw special interest as it mark’s the former Tyrone All-Ireland winning captain’s first game as an inter-county manager. However, Bradley is more concerned about his own players and is hoping to unearth several scoring forwards in January that can assist Paddy Cunningham in putting points on the board during the coming season. “We had our first session of the New Year this week and the lads were chomping at the bit to get back into it after the long lay-off,” revealed the Antrim manager. “The boys have been on a training programme from the middle of October. “Andy (Ward, strength and conditioning coach) has seen them all in one-to-one sessions and they have all been getting on with their personal programmes so hopefully they will be back bigger and stronger than they have ever been. “I think I have stated in a previous interview that we need more of a scoring threat so it is no coincidence that most of the new boys that have come in are scoring forwards. “We will be using the McKenna Cup to try and find four or five that can help take the scoring burden off Paddy Cunningham. While Fermanagh endured a nightmare 2011, as they remained stuck in Division 4 of the National League before enduring defeats to Derry and London in the summer, the new manager has recalled six of the players who made themselves unavailable last year. This is sure to galvanise the Erne County with their players out to show they have turned a corner and can provide their fans with a much happier 2012. However, Bradley’s competitive streak ensures that he is eager to win every game possible and will accept nothing less on Sunday and will be hoping to spoil the party. The Saffron boss will be aiming to get off to the best possible start in order to hit the ground running and extend their McKenna Cup campaign which he views as the perfect preparation for the upcoming Division 3 league campaign. “We are not going to set out any targets at this time of the year,” added the Glenullin native. “We have got back together and will see how things are going. But we will take every game as it comes and I suppose promotion for this team is a realistic target. 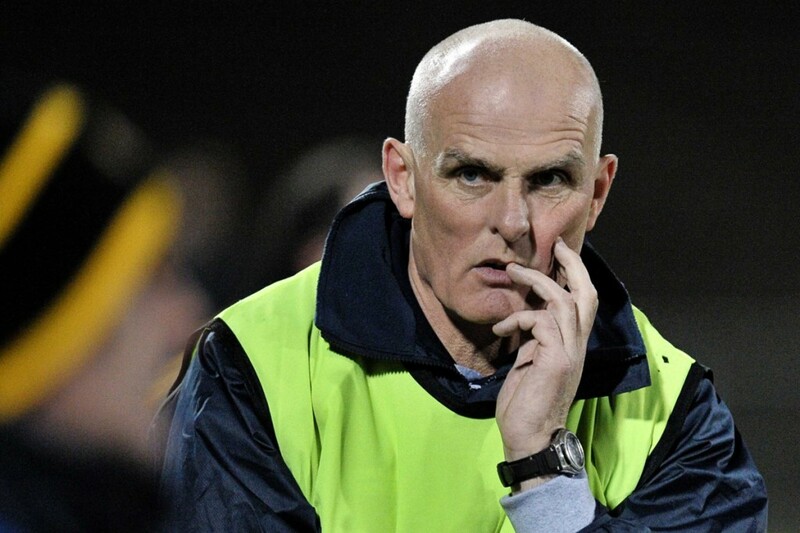 “I suppose Sunday’s game is the one that everyone is talking about, as it is Peter Canavan’s first in charge of Fermanagh and there is bound to be a bumper crowd there. “Our aim is to go as far in this competition as possible. We are in four competitions this year with McKenna Cup, National League, Ulster Championship and All-Ireland Championship. Antrim McKenna Cup panel 2012: Martin Johnston, Ricky Johnston, Mark Dougan (all Creggan), Tomas McCann, Mick McCann, Tony Scullion, Justin Crozier (all Cargin), Colm Duffy, Kevin Brady, Kevin Marron (all Moneyglass), Micheal Magill (Tir na nOg), Paddy Cunningham, Conor Murray (both Lámh Dhearg), Paddy McBride, Simon McDonagh, Conall Kelly, Brian Neeson (all St John’s), Patrick Gallagher (Glenavy), Aodhan Gallagher, Chris Kerr (both St Gall’s), Michael Armstrong, Sean Finch (both Rossa), Willie McSorley, James Loughrey, Ryan Daly (all St Brigid’s), Martin McAleese (Portglenone).